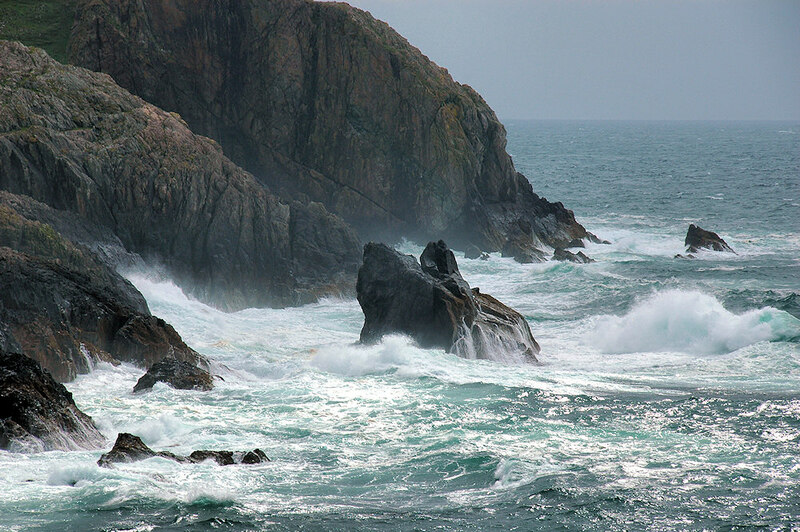 Some of the cliffs on the west coast of Islay, south of Kilchiaran. The waves crashing against and over the cliffs and rocks create quite a lot of spray, which is carried high into the air. This entry was posted in Cloudy Weather, Landscape, Repost and tagged Islay, Kilchiaran by Armin Grewe. Bookmark the permalink. I think this is a very appropriate picture for this morning. The weather here is still calm, but we are expecting rougher weather in the afternoon.